Sophomore Hannah Devine looks for one of her teammates during the first half. 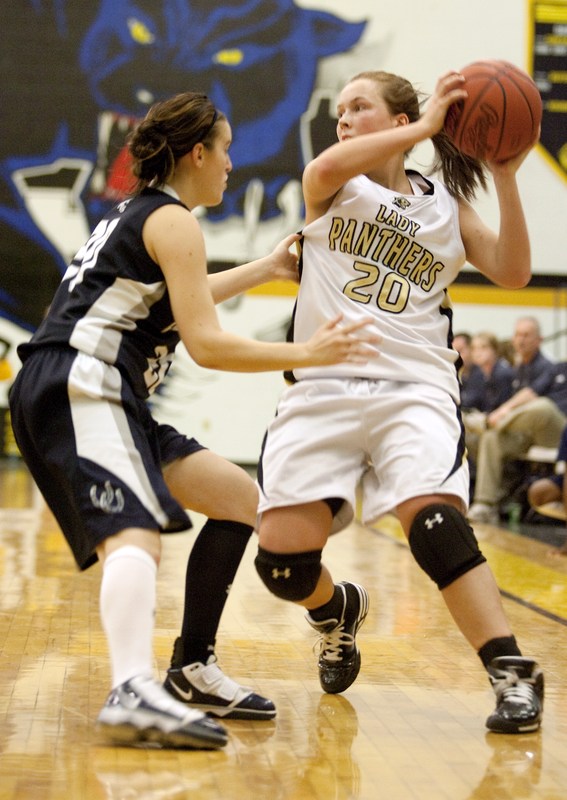 Senior Sarah Osborne drives the lane against the Moore defense. Junior Kyndal Curry drives the lane during the second half. Next: Lady Panthers fall 44-23 to Boyd Co.